Looking for live music in the Stevens Point Area? Here are some suggestions for soaking it all in this season. Nothing says summer like a concert along the beautiful Wisconsin River. Here are the best concerts to enjoy both the scenery and the entertainment. CREATE Portage County is working this summer to bring you a summer music series with a variety of artist and musical styles. The series is supported in part by the Mortimer & Mimi Levitt Foundation, empowering locations across America to transform underused public spaces into thriving destinations through free, live music. In Stevens Point, this means that Thursdays in the summer will feature entertainment for the entire community to enjoy. The concerts run through August 3 at the Pfiffner Pioneer Park Bandshell and also feature food and beverages available for purchase on the grounds. Looking for something to do on a Wednesday night? Head to the Stevens Point City Band Concerts held Wednesday night (through August 2) this summer beginning at 7:00 pm. 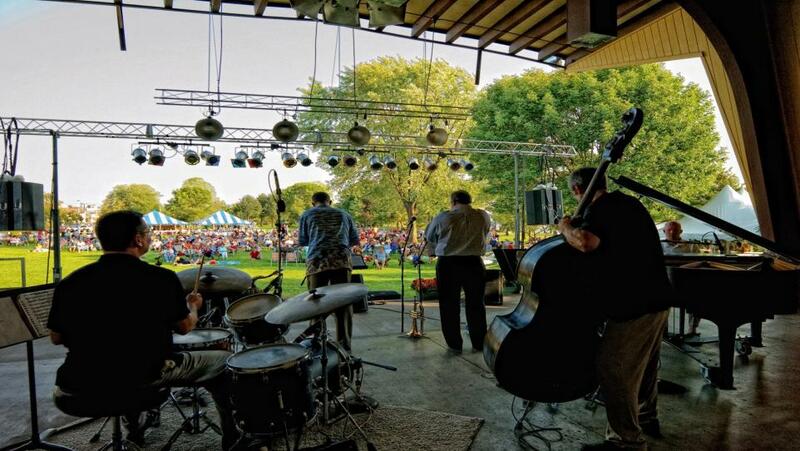 Unwind and relax with family and friends along the Wisconsin River in Pfiffner Pioneer Park Bandshell to the rhythms that the Stevens Point City Band has to offer, with each week featuring a different musical theme. Never been? Don’t forget to bring a blanket or a few chairs with you. If you are interested in listening to local artists from Central Wisconsin, don’t miss the 3rd Annual Jam’N’July concert which celebrates the local music scene. The event will be held on July 15 at Pfiffner Pioneer Park. Live music kicks off at 12:30 pm and continues through 10 pm. If you are looking for a great event geared to families with young children, don’t miss this annual free concert that takes place on July 11 in Pfiffner Pioneer Park. In addition to each child in attendance receiving a free book, you’ll enjoy a fun and energetic concert by Tom Pease. On Wednesday nights this summer, you can enjoy a free concert at PJ’s Restaurant at SentryWorld! From 5:30 pm to 8:30 pm, each week will welcome a new band on the patio. Be sure to get there early to snag a spot near a fire pit to enjoy the show. Looking for a unique concert series? Don’t miss the Highway 10 Hideaway concerts being hosted by the Holiday Inn Hotel & Convention Center. The series features five concerts, starting with country legend Phil Vassar on July 9. Want more? Live music is often available at Sunset Point Winery, Anchor Bay Bar & Grill, Bullheads Bar & Grill, Lettie Jensen Community Center Theater, Rising Star Mill in Nelsonville, and Rookies Sports Pub to name a few. Much of the great music available this summer is tied to events and festivals. Here are a few options that bring music to the forefront of the summer celebrations. At the world’s largest and longest running renewable energy fair (this year marks the 28th year), you can catch numerous live performances on their main stage. The twist? These concerts are powered by human energy, fed by a bank of bikes supplying the energy and power for the amplifiers and equipment. Help celebrate the 50th Anniversary of the Aber Suzuki with this special event featuring a musical expo, an orchestra/choir event, informal recitals, and tours. Two locations will be hosting performances, including the Noel Fine Arts Center on the UW-Stevens Point campus as well as the Sentry Theater. Bluegrass is the star for this annual event held at each August at Rosholt Fair Park. Whether you come for the day or stay for the weekend, you’ll be hard-pressed to find a better event than this to experience true bluegrass music. For more music at popular festivals and events, don’t miss Riverfront Rendezvous, Celebrate Plover, Portage County Fair in Amherst, Portage County Fair in Rosholt or the Riverfront Jazz Festival. Looking for more? 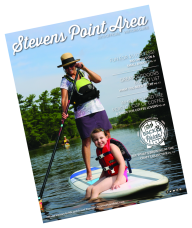 View the full Stevens Point Area calendar of events here.